There are very few restaurants on this earth where the fashion crowd find themselves in costume competition with the hosts and hostesses of the establishment. 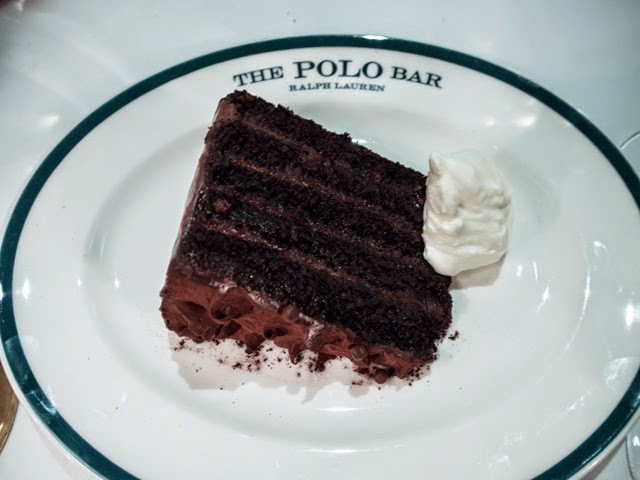 However, if ever there were a place to take the cake for such an accolade, it's The Polo Bar in Manhattan, where the staff are not only breathtakingly gorgeous, they're also decked out in Polo Ralph Lauren and Ralph Lauren Collection. 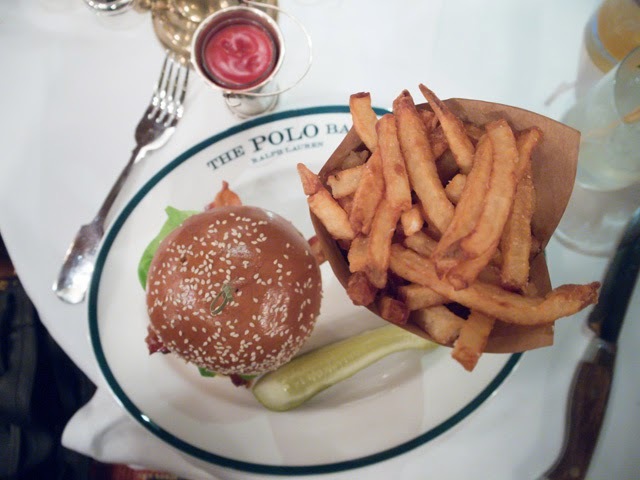 On the eve of the Ralph Lauren show in New York City last week, I found myself sitting in a corner table at The Polo Bar, which is situated just behind the new Polo Ralph Lauren store on Fifth. On the night, I am certainly in good company. It seems as if everyone that's in town for the show is also in attendance for dinner. 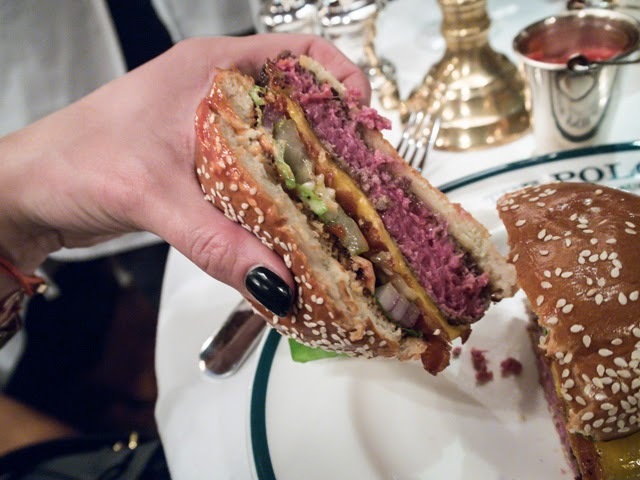 Even the queen bee herself, Anna Wintour, is seated not far from my deluxe cheeseburger. 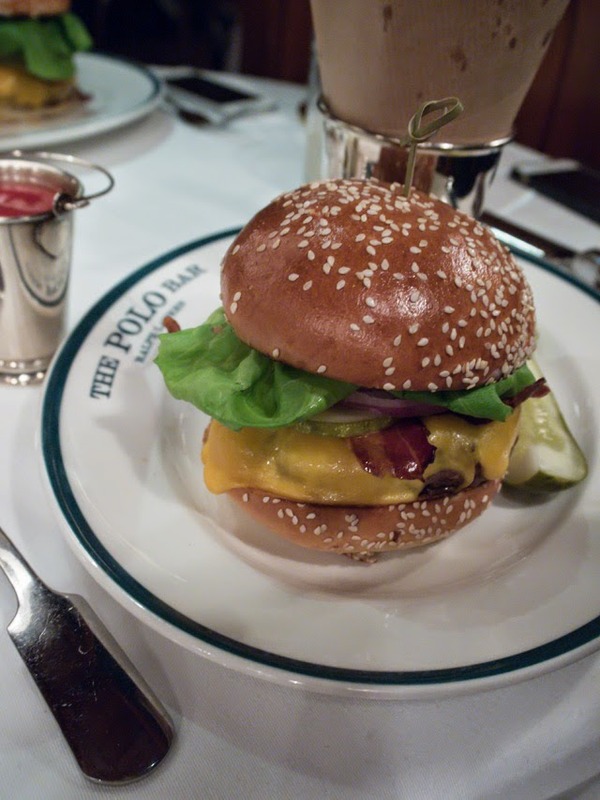 Oh come on, you knew I wasn't going to give a Ralph Lauren Cheeseburger a miss. Two of my favourite things together under one roof - cheeseburger and Ralph - how could I resist? But, I'm getting ahead of myself. 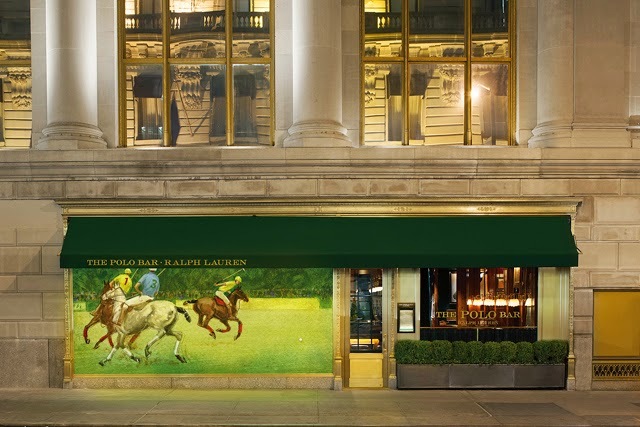 Upon walking in the front door at The Polo Bar, I'm given a nod of approval from the doorman who recognized my Ralph Lauren southwestern inspired ensemble. A cheeky wink and "love your Ralph," were presented as the door swung upon to a plethora of people gathered in a wood paneled room. 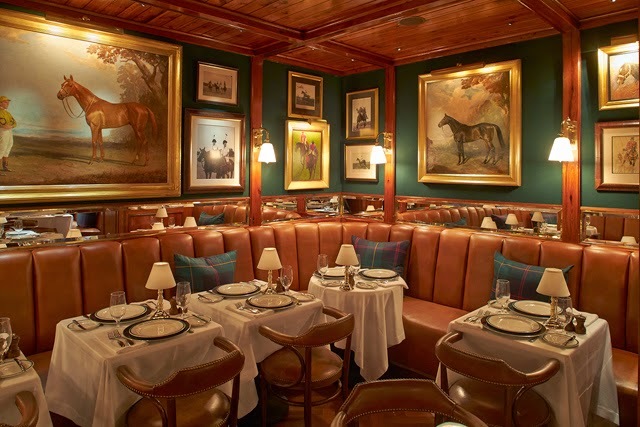 Leather benches and stools, decorated with plaid pillows and the finely attired bums of patrons, all signal that indeed I am in a world that could be nothing other than a Ralph Lauren creation. Paintings that feature polo players, polo horses and polo accessories, line the walls and stairwells as we make our way quickly down to the dining room. This room is crafty in its construction. There are so many hidden away corners and discrete barriers that allow for people to be both seen and unseen, if you know what I mean. The air is jovial. 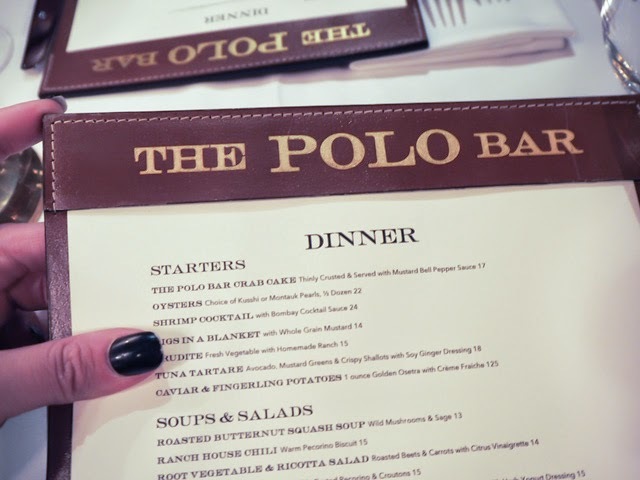 People feel part of the club as they sit and dine at The Polo Bar. It could have something to do with the joy of securing a table. 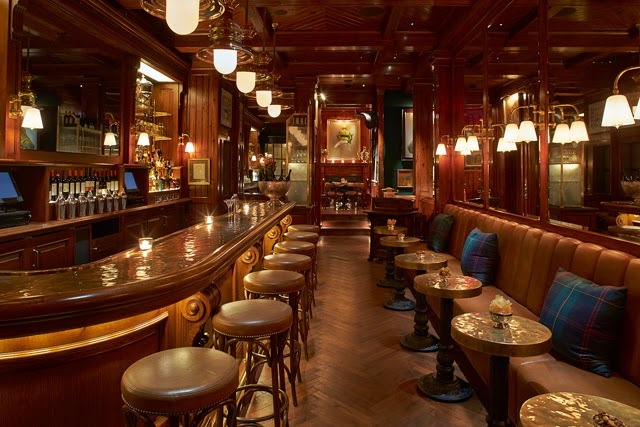 All the press thus far on The Polo Bar has mentioned the difficulty in getting a reservation at this new Manhattan hot spot. So, of course, those in attendance do feel as if they are part of something incredibly special. 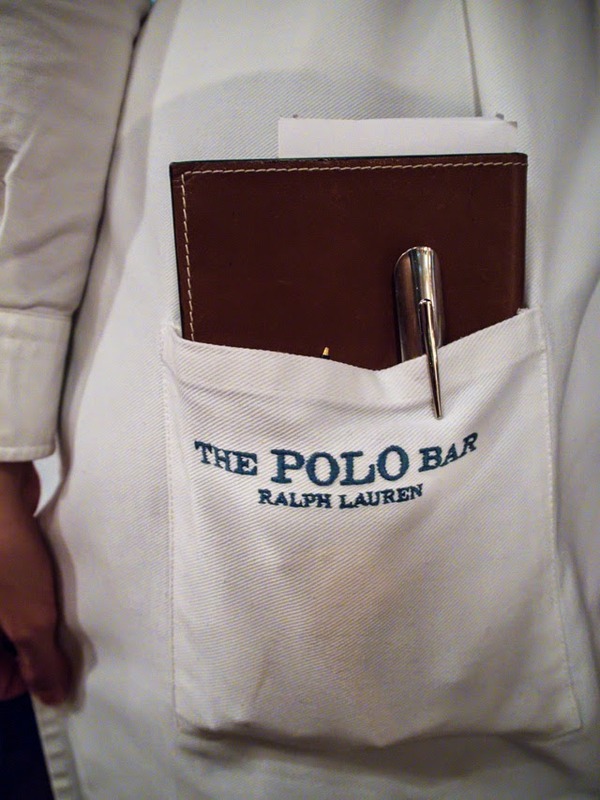 However, the magic of The Polo Bar is not found in merely grabbing a table. The food here is epic, in both size and taste. For my starter I order a shrimp cocktail. In London this usually comes to the table in something the size of a tea cup. 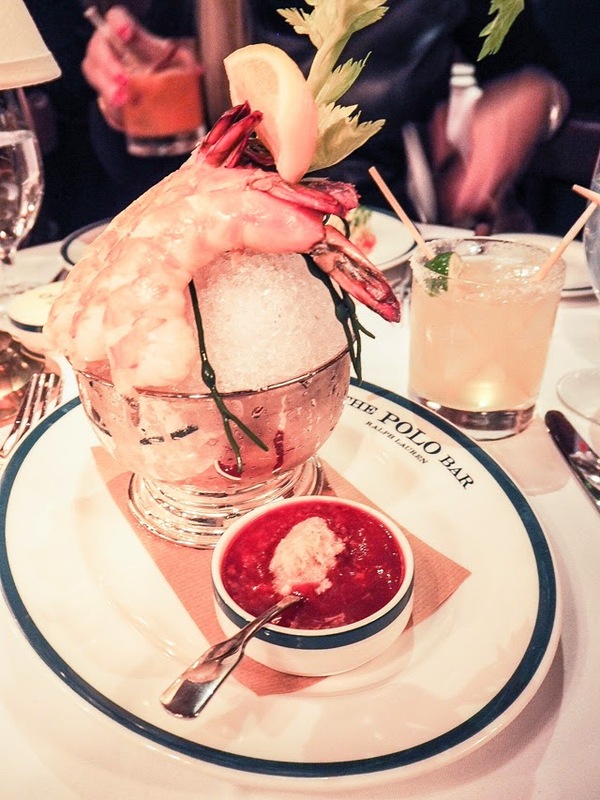 In The Polo Bar, the shrimp cocktail comes out in something that looks not too dissimilar to an ice bucket. I get envious looks from across the room. However, nothing scoops out food envy like a great cheeseburger. My dinner date and I both ordered the burgers- medium rare and with cheese. Oh what brilliance is this that arrived at the table like a knight in shining hungry-fighting armor? 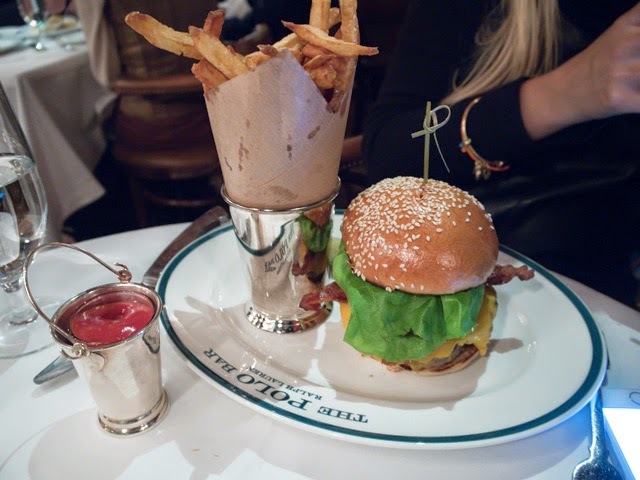 The burger is a taste sensation, an experience I hoped would never have to end. Sadly I only made it through half the burger before putting down my fork and sword (knife) and surrendering completely. The portions are enormous. The coup de grace is dessert. I will say you have to leave that special compartment in your stomach free for indulging in some sweet stuff here. 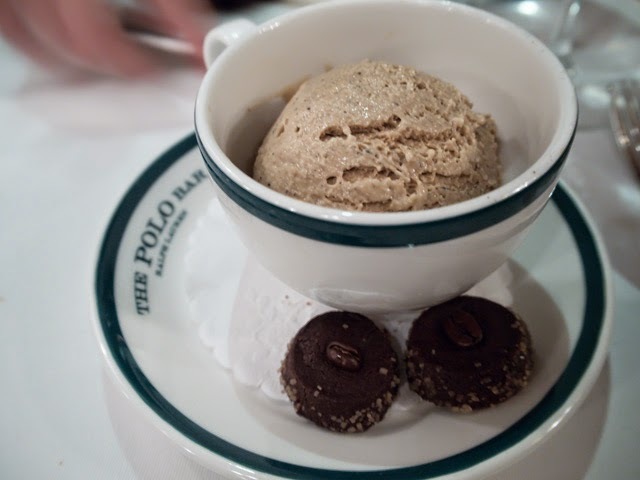 We ordered Ralph's Coffee Ice Cream, made with Ralph's coffee from next door, and the massive layered chocolate cake. Honestly, I thought someone was going to have to roll us out of there. 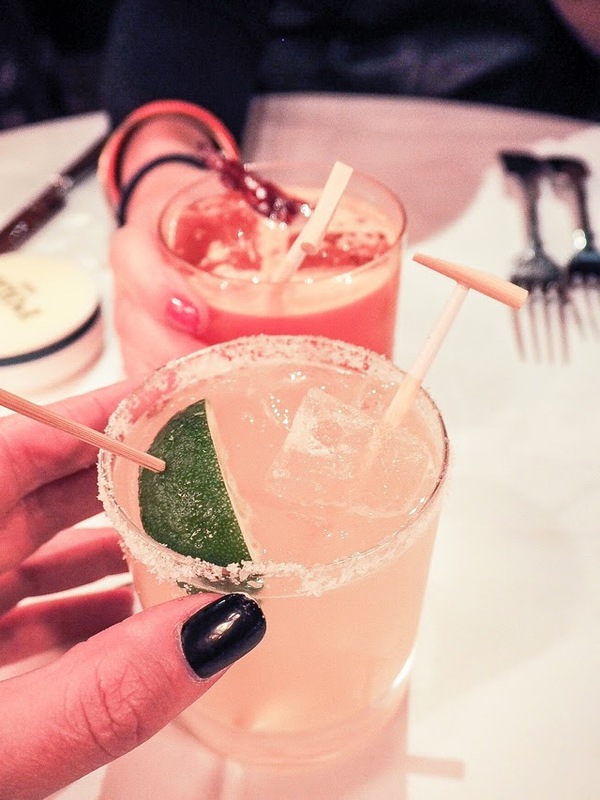 In short, don't pass through Manhattan without attempting to secure a table at The Polo Bar.